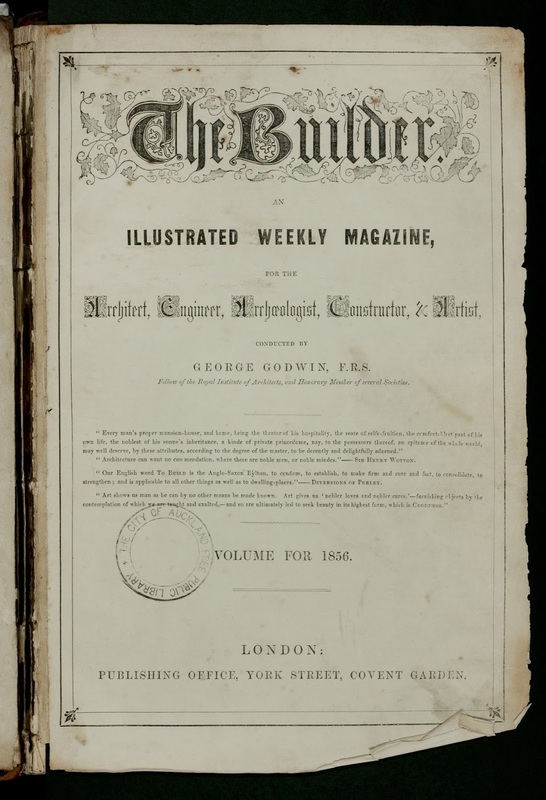 While checking some of our earlier magazines in our basement I came across a London magazine called 'The Builder; an illustrated weekly magazine for the architect, engineer, archaeologist, constructor & artist'. 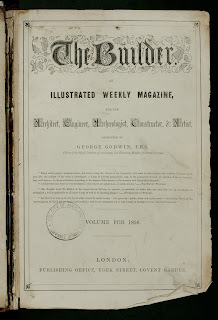 Ref: The builder, Title page, 1856, Central Auckland Research Centre, Auckland Libraries, 690.5 B93. Ref: The builder, page 515, 1856, Central Auckland Research Centre, Auckland Libraries, 690.5 B93. 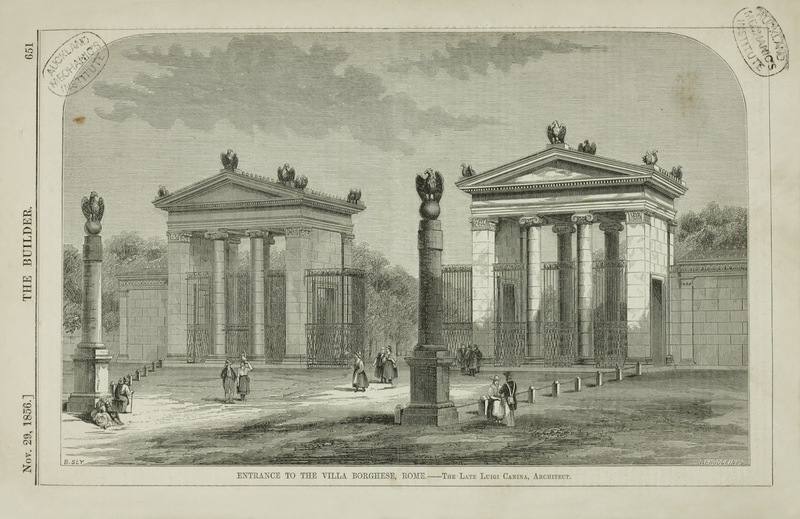 We have bound volumes for 1856 and 1860 and then further copies from 1881. 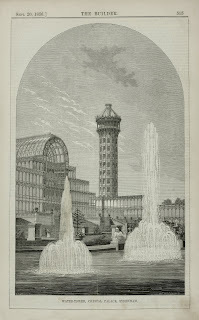 In 1966 that magazine was renamed 'Building' and we still received copies right up to 2006. We no longer subscribe. 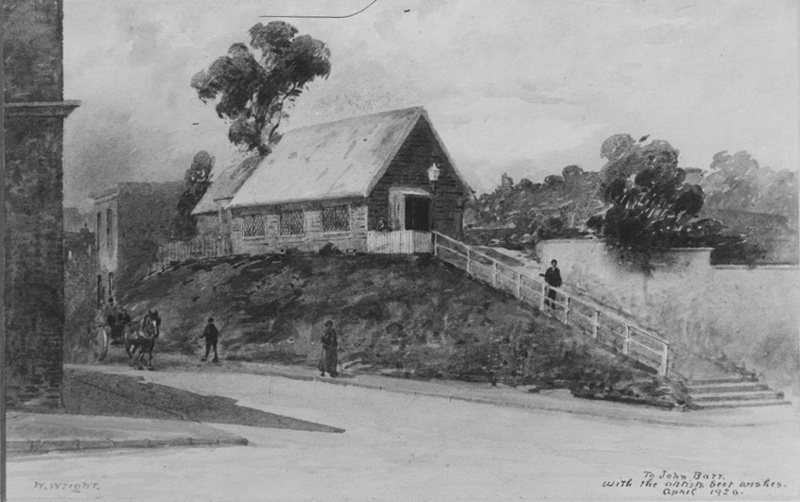 Ref: The builder, page 651, 1856, Central Auckland Research Centre, Auckland Libraries, 690.5 B93. 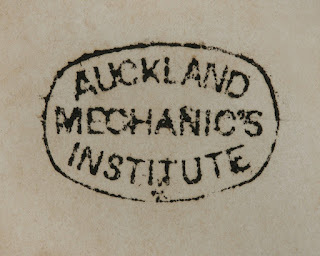 What is additionally fascinating is that the 1856 and 1860 copies came to us from the old Auckland Mechanics' Institute. Ref: James D Richardson, Watercolour painting of the Mechanics Institute, 1880s, Sir George Grey Special Collections, Auckland Libraries, 4-675. 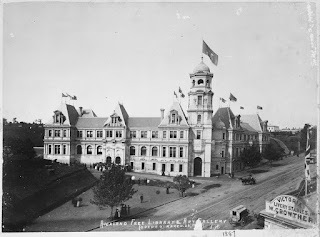 The Mechanics’ Institute was formed in 1842 and what items remaining in its library, along with items from the Library of the old Auckland Provincial Council (1853 - 1876), were included in the collection of the Auckland Free Public Library which dates from 1880. 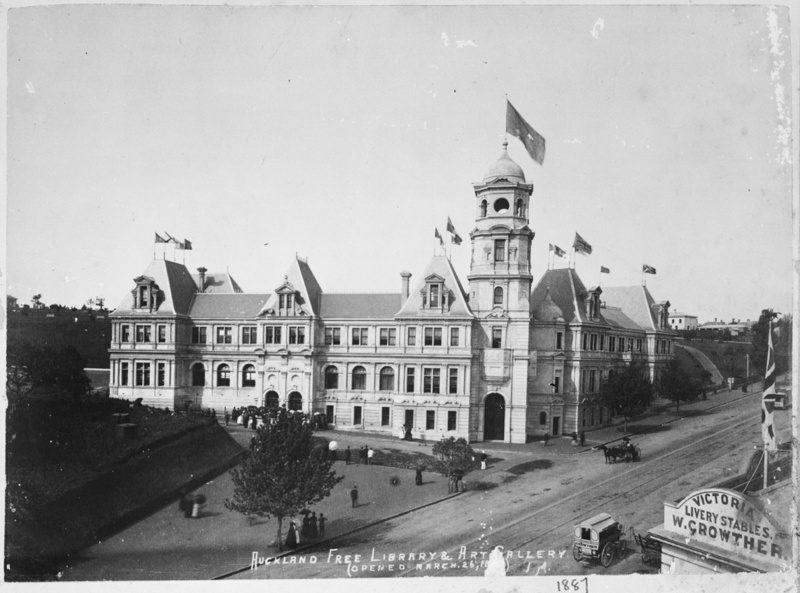 The Auckland Free Public Library was housed in the current Art Gallery building from 1887, until November 1971. Ref: Josiah Martin, Auckland Free Library & Art Gallery, 1880s, Sir George Grey Special Collections, Auckland Libraries, 7-A15181. 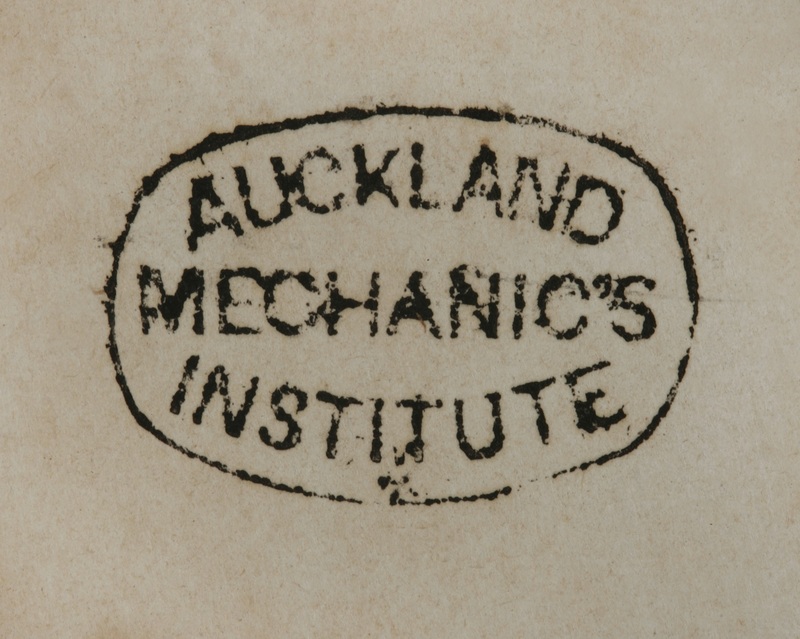 The binding was original to the Auckland Mechanics' Institute as when the 'Auckland Mechanic's Institute' (sic) rubber stamp was applied to the freshly bound volume it bled through to the page on the other side. Ref: The builder, page 3, 1856, Central Auckland Research Centre, Auckland Libraries, 690.5 B93. We have other similarly bound items in the Heritage section of the Central Library, but they don't have a 'Mechanics' stamp on them. If you are interested in more information on Mechanics’ institutes and their effect on the development of library services in New Zealand I’ll direct you to this paper.